Looking for something to send chills up someone’s spine? Halloween is the best time of year for freaking out people – even your friends. Here is a collection of items we have hand-picked just for this occasion. When we say these are hand-picked, we are not joking. Our crew has scoured the globe looking for the absolute best possible items that would be suitable for this holiday. Some of them even make great gift ideas for the frenemy in your life or ex-wife. 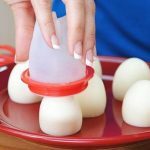 We’ve found pranks, gags and just some downright nasty things you don’t want to spend more time with than you have to. Hey, some of this stuff actually scares the crap outta us as well. The bottom line is, if your plan is to spook someone, we’ve got the best items you will ever find right here. Don’t delay, get creepin’ through our Halloween Gift Ideas list right now! Need to get the point across that you don’t want someone in your house to walk away from the sink with the soap? Well, we just might have the solution for you right here. 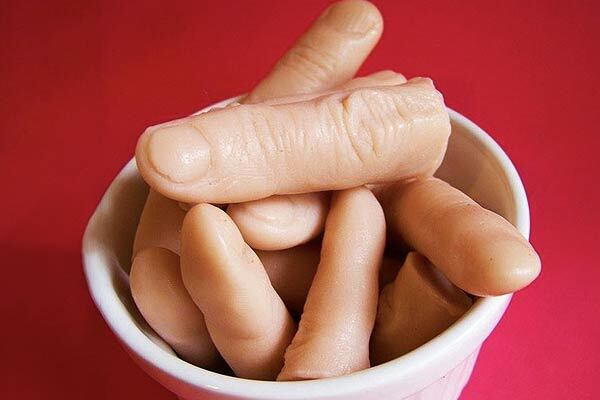 These creepy decorations are actually four different bars of soap that are designed to look like fingers. But not your ordinary fingers. These happen to look as if they were chopped off and left in a soap dish as a message. You know, the kind of message you don’t want to look into any further if you can avoid it. Oh, did we mention that they also suds up like normal soap? Want to freak someone out? Wait until they go into the shower and switch out their bath mat with this color changing one. What happens is that the water on their feet will cause the mat to turn a blood red color wherever they step. Imagine the fun when someone gets out of the shower and looks down to see that it appears as if their feet are bleeding. It’s a riot and even more fun to do as a prank any time of the year. Or you could just play it naturally and pull this gag out on Halloween just because. Watch your feet! When you think that just giving a greeting card is not quite enough, now you have an option. It’s a flying butterfly card. What is it exactly? Well, it’s an oversized card with a wind-up butterfly inside. Once the card is opened, the giant butterfly is released and it will fly out and away. 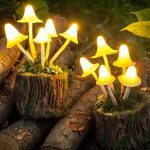 If there is someone special in your life that would completely enjoy this kind of unique gift, then you now know it exists. And seriously, we all know that butterflies should be free and that is what happens when this card is opened. Share one with someone you like today! Who doesn’t want to be someone else for a change? 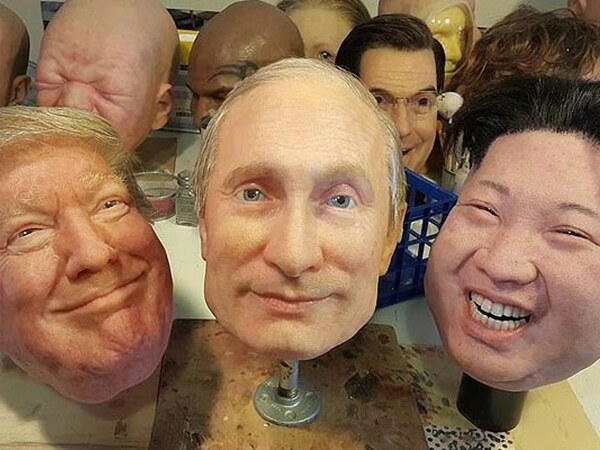 With these extremely wild looking hyperflesh realistic masks you can take on the look of someone new. Have a favorite celebrity you’d like to be for awhile? Slip on one of these masks and you will be transformed instantly. It is that easy and it is that creepy. Maybe you want to be Mike Tyson for a day or two. How about Donald Trump? With any of these masks on people are going to do double takes as you walk by. They look so real that you may even get asked to appear at a special function, or not! You have the future in your hands when you wash up with this sweet little gem. It’s actually a realistic looking human fetus soap. It’s stunning, it’s beautiful and maybe for some a bit on the creepy side. That’s okay, because this soap is designed to intrigue you as well as keep your hands fresh and clean. 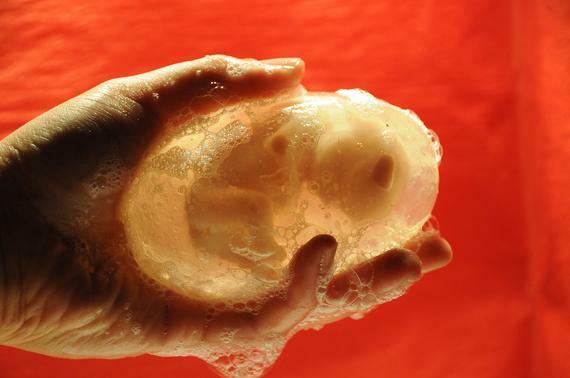 Need a reason to hold onto one of the baby fetus soaps? You could use Halloween as one but why stop there when any day of the year is a good day to warm up to a bar of soap that resembles a fetus? Just don’t drop it and you’ll see it smile at you eventually! 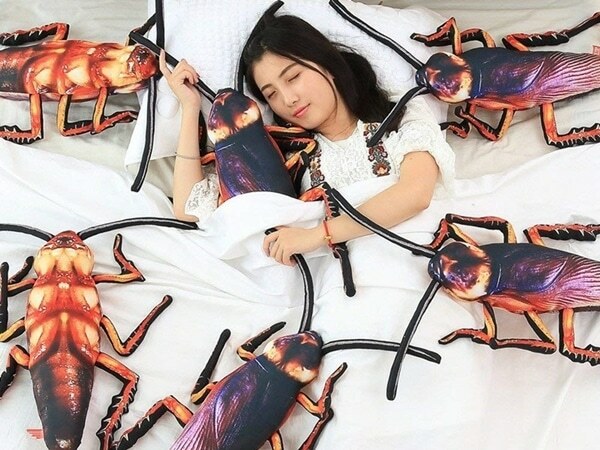 Nothing is better to snuggle up to at night than this giant cockroach pillow. It’s realistic and it’s also really creepy. But if you like that sort of thing, it’ll help you to sleep like a baby. Or at least toss and turn and wake up every few hours like a baby. Have a fear of creepy crawlies? Sleeping with this may cure you of that or at the very least give you a different appreciation of all things that creep about in the dark. Also, if you want to give someone a good scare, this pillow will do the trick. See you in your nightmares! Feel like cat today? How about a zebra? 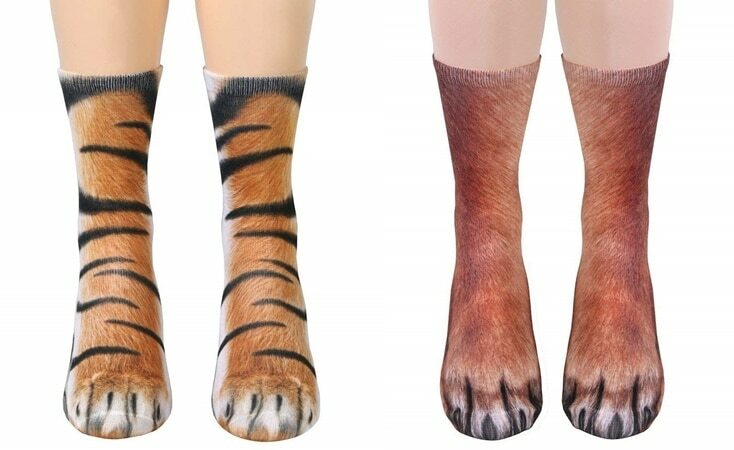 Well, with these amazing animal paw socks you can pretend to be a wild animal the moment you pull them on. Act like you hear the call of the jungle. Leap on the furniture, run through the halls, do anything you want except run in traffic. These realistic animal prints will not only get your adrenaline flowing, it’ll give you reason to act a little abnormal during the day. Plus, if you aren’t a hunter but your neighbor is, you could just run over there and jump him. That way you win one for the animal kingdom for a change! Have a gas fireplace that looks a tad on the boring side whenever you light it up and curl up in front of it? Well, with these creepy logs you will be able to turn it into a sight to behold. Once they get into the mix, the ole fireplace will never be the same again. What’s even more interesting is how realistic these look. 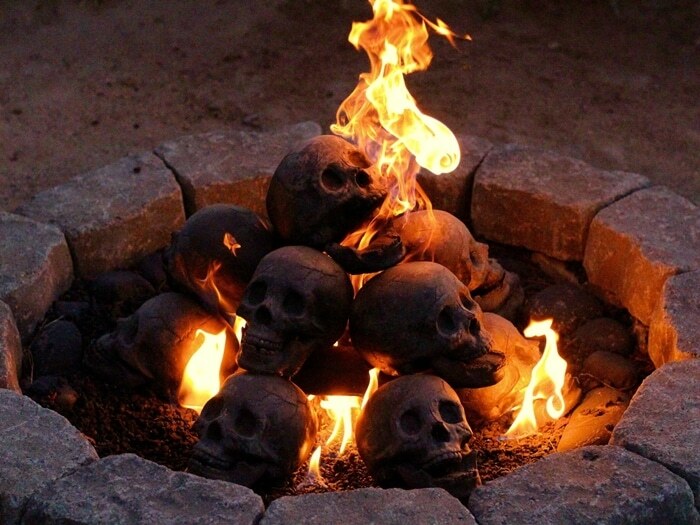 They were designed specifically to look like a human skull and once licked by the flames, you’ll start to see things. Hopefully nothing you can’t handle although scary as Hell! When was the last time you attended a Halloween party and thought, wouldn’t this be a lot better with some floating apparitions? We know what you mean as many of the parties we’ve attended over the years could have used some livening up. Here is our simple solution – Holographic Halloween Decorations. We know, the name really doesn’t say much but once you project them onto a wall or somewhere else, you’ll totally get what we mean when we say a party with floating apparitions is a freakin’ cool party. You don’t even need a wall for this to work. You can just show them on your TV. Either way, they are scary, creepy and fun all at the same time! Think it’s time for an extreme makeover considering that Halloween is celebrated often in your house? 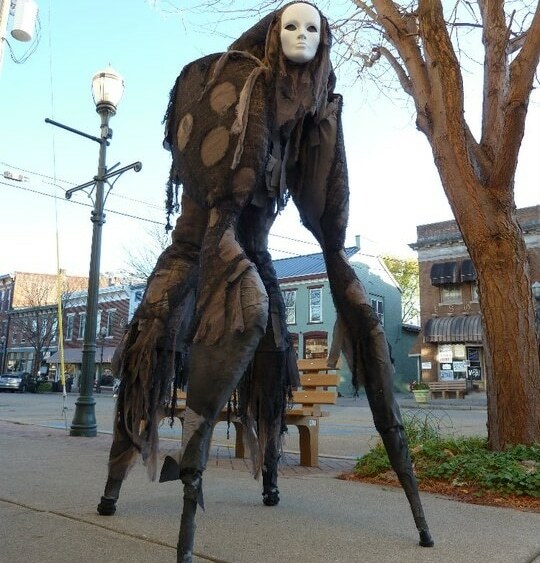 Well, you can take this four-legged monster costume and achieve that very goal. It works great at parties or for those short trips down the street for the paper. It’s one of those costumes that will get you noticed even if you don’t want that. Need to attend a meeting that you’d rather not be at? Why not dress up in this costume and if you play it just right, you’ll not only get the rest of the day off, you may just get an extended sick leave as well! It’s not as if the kid next door isn’t already creepy enough. This crawling zombie baby will add a little something to your home décor. Probably that something will be somewhere in the territory of fright or scares or maybe even a little bit of laughter. It really depends on who is in the room when you unleash this wacky baby to crawl around and scream in your house. Sure, to the neighbors it sounds like a normal day at your place, but it really isn’t. Have a visitor you wish would just leave? This crawling zombie baby will take out the trash so you don’t have to! Here’s one that you’ll want to show off to everyone you know. It’s a hand. No, it’s a candle. No, it’s actually a candle in the shape of a hand. Oh, but there’s more. All you do is light the wicks at the end of each finger and as the candles burn down, the fingers start to bleed. We’re not making this up. After the wax candle is completely melted away you get an even cooler bonus. The candle hand that bleeds eventually turns into a skeleton hand. What could be any cooler than that? We told you it was a creepy hand candle that bleeds. It’s also lifelike, which makes it more fun! They scream. They also shake their head, moves up and down, back and forth and throws something at you. No, we are not talking about your mother-in-law or ex-wife. We are describing some of the coolest animated Halloween props you will ever see. They sit quietly with their head down until someone gets near. Then the screaming and thrashing about. Oh, and did we mention you might want to duck? Have someone in your life that deserves to get the crap scared out of them? Well, this is your answer. Need to spin a web for something to do? Well, this spider web gun shooter is a lot more than just an air gun. It will blast a realistic looking spiderweb wherever you aim it. Why would you want to cover the interior or exterior of your home with spider and cobwebss? To give it that rustic look, of course. And we all know that anything identified as rustic has some value. Mind you, if Halloween is drawing near you can also give that gun a workout prepping your home for all the trick or treaters you plan to scare away until next year. One shot and you have a web! The fun thing about this remote control cockroach is that it is battery powered. Getting tired of it scurrying across the room? Just pop out the batteries and you’re golden. However, if your plan is to spook and scare people, then this is the tool for you. 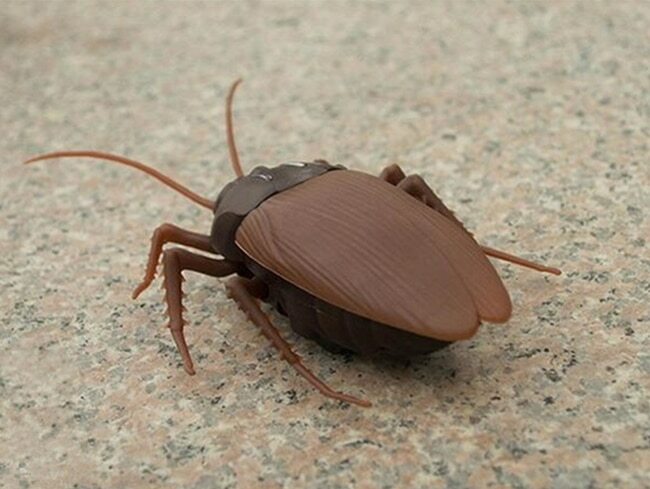 This cockroach toy moves with its feet and legs much like a real one only this one you may not want to stomp on. Well, hopefully not, anyway.